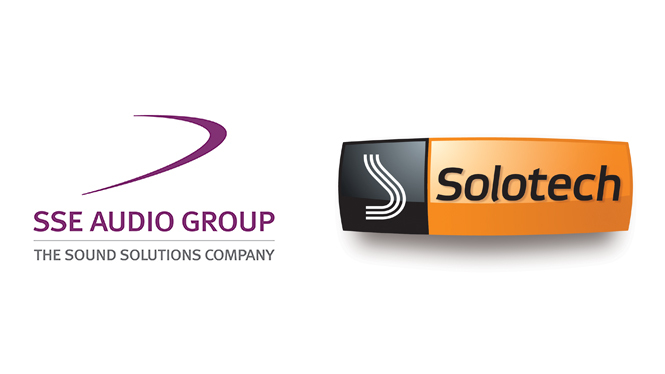 Canadian AV and entertainment technology company, Groupe Solotech inc announces acquisition of SSE Audio Group. Martin also emphasised the synergies between the North American and European teams, “Solotech and SSE have worked together for years. We share a passion for innovation, quality and people. I’m convinced that our association will benefit our clients. We will provide them with a broader range of even better services”. Pierre Boivin, chairman of Solotech’s board, believes this acquisition opens the door to significant potential growth for Solotech on a global scale. “The audiovisual industry offers excellent prospects for growth, estimated to increase by 4.3% per year to $53.4 billion US in 2022. Music tours should generate growth of 10% per year by 2022. This transaction will enable us to take full advantage of opportunities that open up to us,” he concluded. 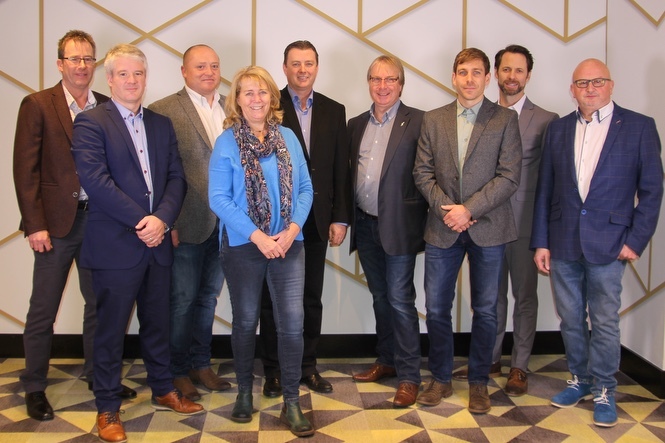 L-R Ian Bidmead, SSE Finance Director; Martin Chouinard, President, Live Productions Division – Canada; Spencer Beard; MD Wigwam Acoustics & SSE Director; Heather Penn SSE Admin & Accounts Director; Martin Tremblay, President and Chief Executive Officer; John Penn, SSE Managing Director; Alex Penn, SSE Sales Director; Philip Giffard, President, Sales and Systems Integration Division; Mick Spratt, Founder Wigwam Acoustics. Solotech was established in Montreal in 1977 and is now a global supplier of technology solutions in the AV and entertainment sectors. It offers a full-service approach, with solutions in audio, video, lighting, rigging soft goods (such as stage drapes and fabrics) and control/collaboration systems. With some 1,200 employees at its 13 locations in Canada, the United States and Europe. Solotech provides expertise and technology through its Rental Division (tours, corporate and special events) and through its Sales and Integration Division (handling equipment sales, installations and maintenance tech) providing solutions to a wider variety of sectors including sports, cultural facilities, broadcasting, conference rooms and classrooms.